One month after the model SM-G888 received its Bluetooth certification, a document that Samsung submitted to the Korean Intellectual Property Office surfaced online showing a flexible handset that might be unveiled in early 2018. The upcoming Samsung Galaxy S9 has been in the rumor mill for a while but, no matter how interesting the next-gen flagship might be, a top-of-the-line flexible handset would surely grab more attention if done right. However, by the looks of the latest sketches that surfaced online, the so-called Galaxy X might use a design approach loosely related to the recently released ZTE Axon M.
Back in late 2016, some images showing a device believed to be the Galaxy X surfaced online. In the meantime, not much has changed. 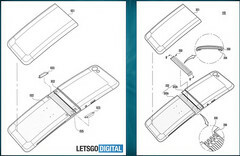 The sketches that surfaced online thanks to LetsGoDigital were apparently sent by Samsung to the Korean Intellectual Property Office a few days ago. 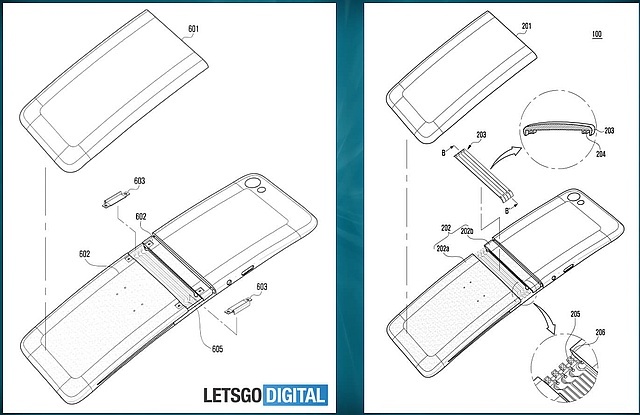 The "flexible electronic device" shown in the images mentioned above folds inwards and looks like a classic clamshell design handset, but the display apparently comes in a single piece and folds in the middle. The ZTE Axon M, on the other hand, has two separate displays that can be turned into a single one, but there will always be a noticeable space in the middle when using the handset in the tablet mode. In the end, all the above should be taken with a grain of salt for now. The Galaxy X name is not official yet, so it would not be a total surprise to see Samsung's first foldable handset surfacing with a completely different name tag. The SM-G888 model name, however, will probably be used for the final product as well, since the device that uses it has been certified by Bluetooth SIG already. The so-called Samsung Galaxy X is expected to be unveiled in early 2018, most likely during the Mobile World Congress in February. On the other hand, January's Consumer Electronics Show in Las Vegas looks like a great opportunity to unveil such a device as well. Remains to see if Samsung chooses to go with a limited South Korean-exclusive first batch or decides to release this whole new design worldwide.